What could be simpler? No more messy cleaning fluids: simply clean as you play! High precision audio-grade vacuum suction arm fitted with eco-friendly recyclable dust bag. Near-silent operation. Plinth available in a range of woodfinishes to match your listening environment, including knotty pine-cladding, and torture-dungeon black. 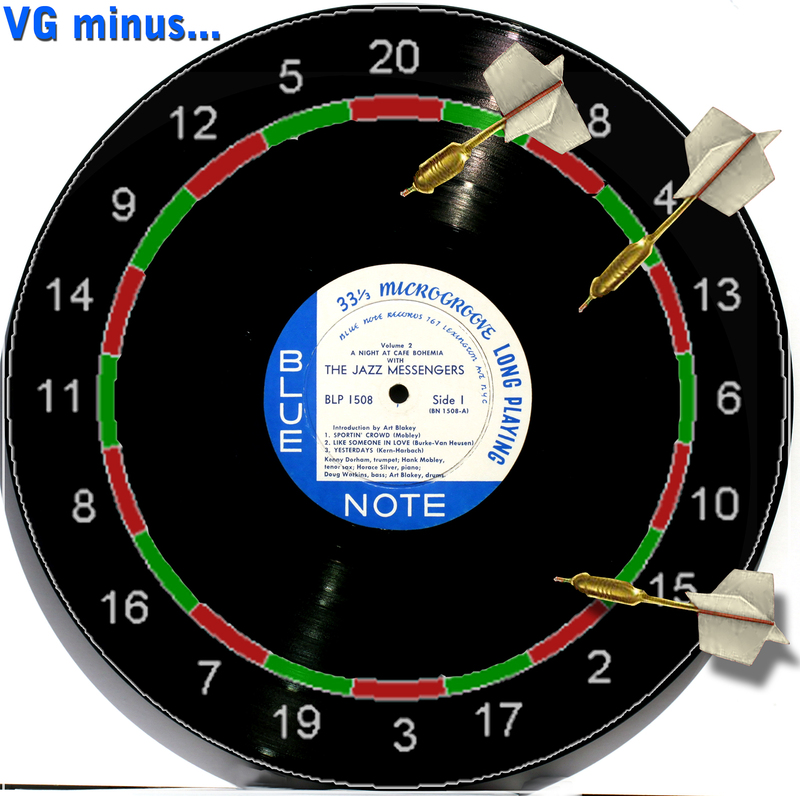 This week, what to do with that VG+ record you bought on eBay that turned out to be VG minus, only to discover the seller doesn’t accept returns. Collect these invaluable tips each week, yours to keep forever, in a large leather gold-embossed LondonJazzCollector binder. 1. 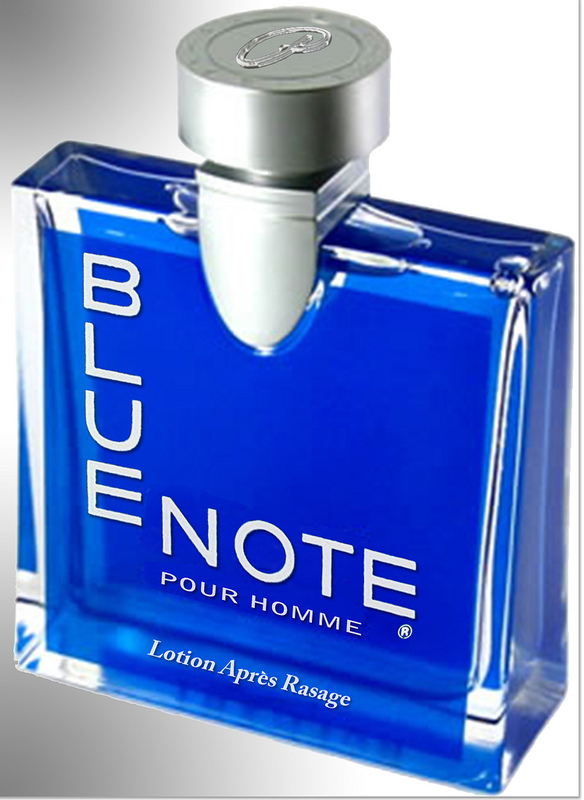 Blue Note Time – it’s always the right time for a Blue Note. 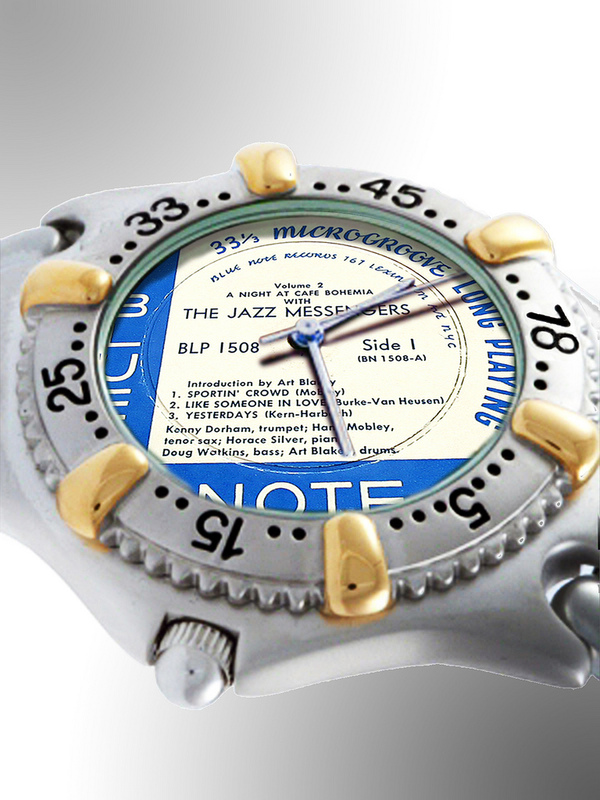 Three music speeds – 33, 45 or classic 78 rpm adjustible DJ timepiece of choice, deep groove, Lexington address, 180 bpm alarm. Also available with solar power option, (Sun Ra model). 2. 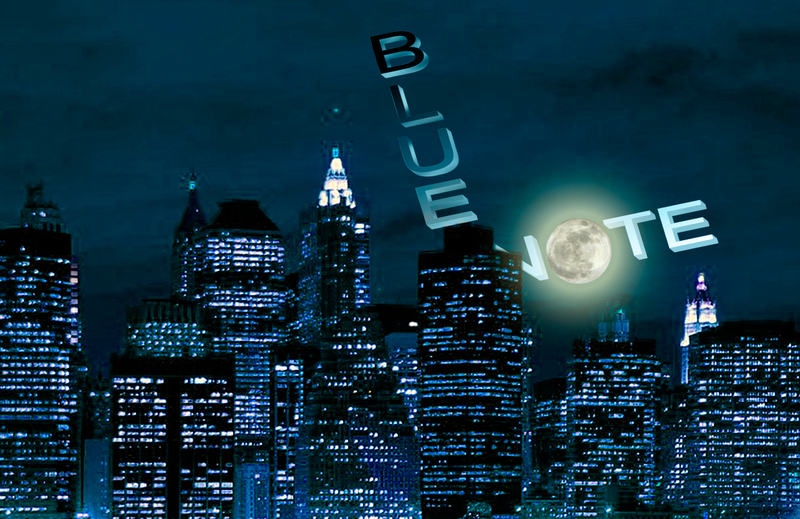 Invasion of the Blue Notes. 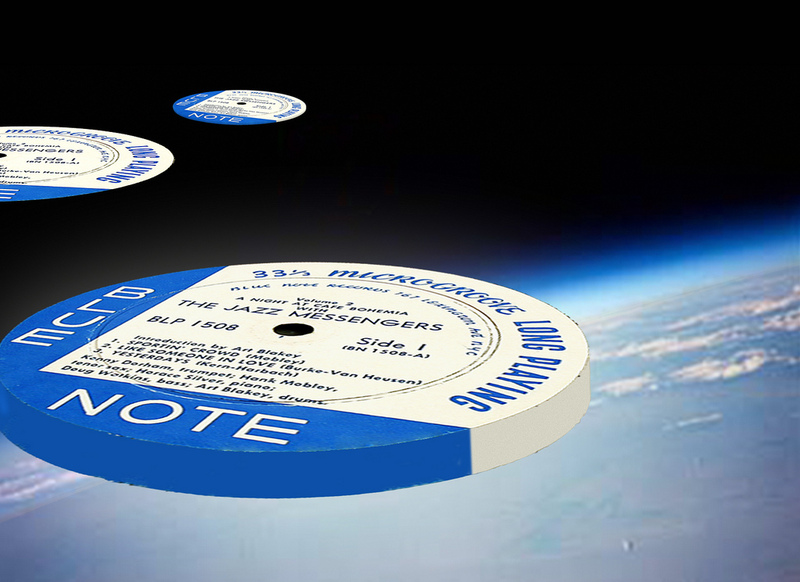 They came from a Blue Planet in the constellation of Popsike on outer rim of the galaxy: the Vinyl Frontier. Cue Miles Davis, Kind of Blue. 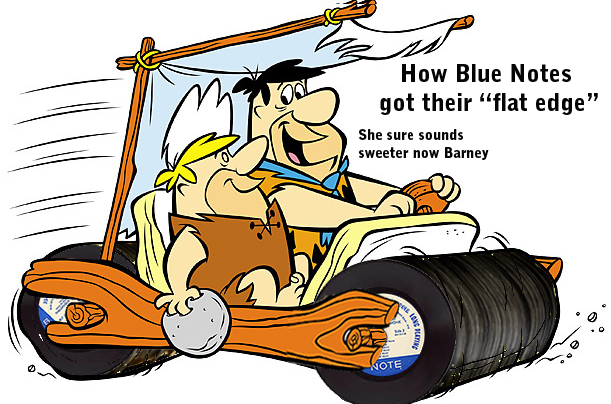 (Yes, I know it’s not on Blue Note. 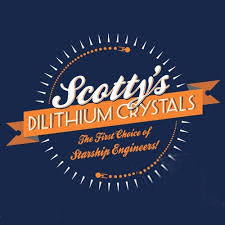 Don’t spoil the joke). Screw cap with ear and flat edge, French writing on bottle. 5. Rare! 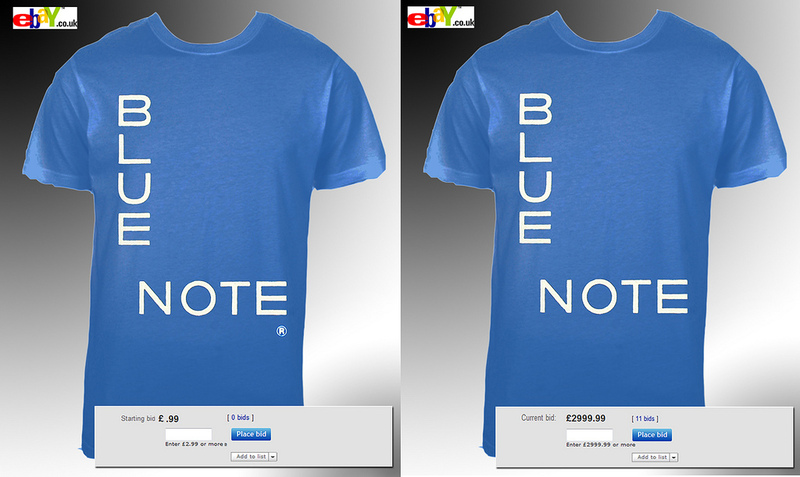 Blue Note T Shirt without the “R”. XXL, looks largely unworn, a few armpit stains that should wash out. Original Walmart paper bag in pristine condition. A worthy addition to any jazz collector’s underwear drawer. Bid with confidence. 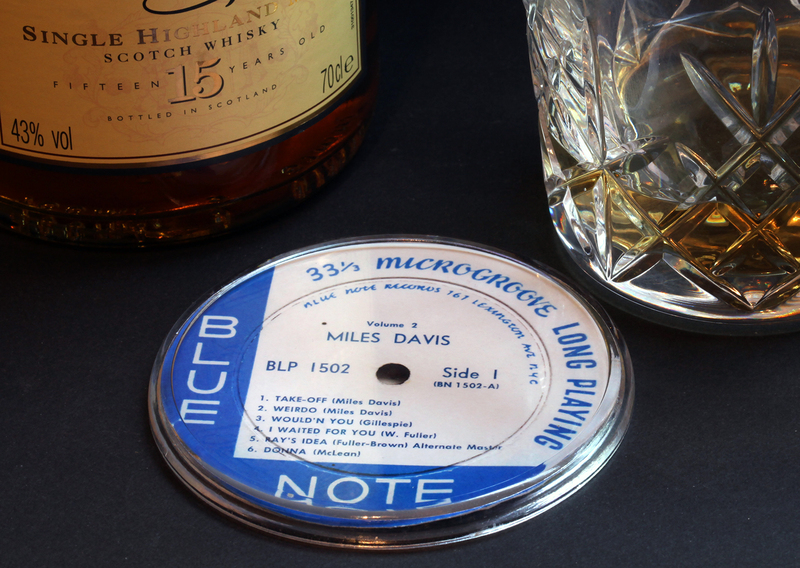 Perfect partner for that rare single malt, cut from rare Blue Note first pressings sacrificed to make these exclusive coasters. 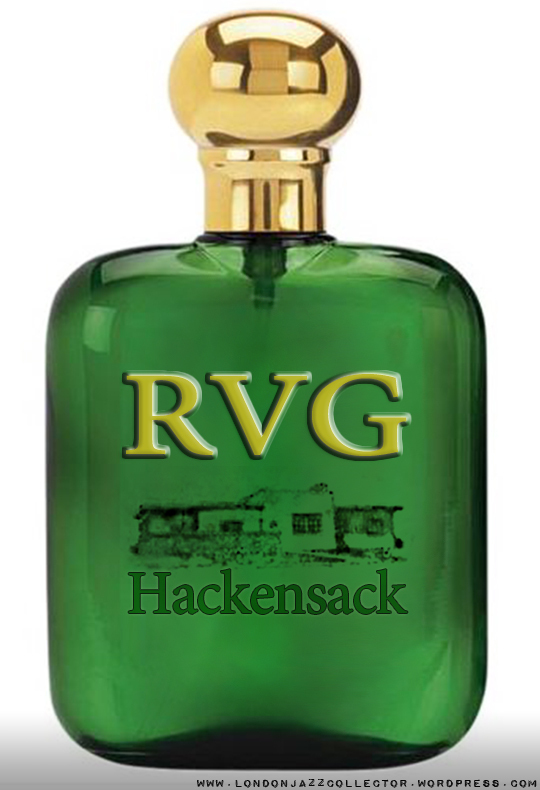 Order now , very limited stocks, each coaster comes with certificate of authenticity signed personally by Rudy Van Gelder. 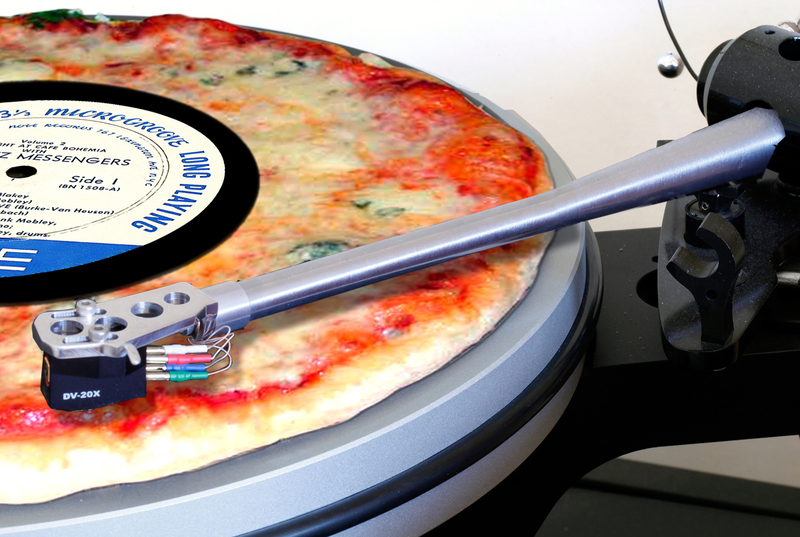 Horrify Amaze your record collecting friends. 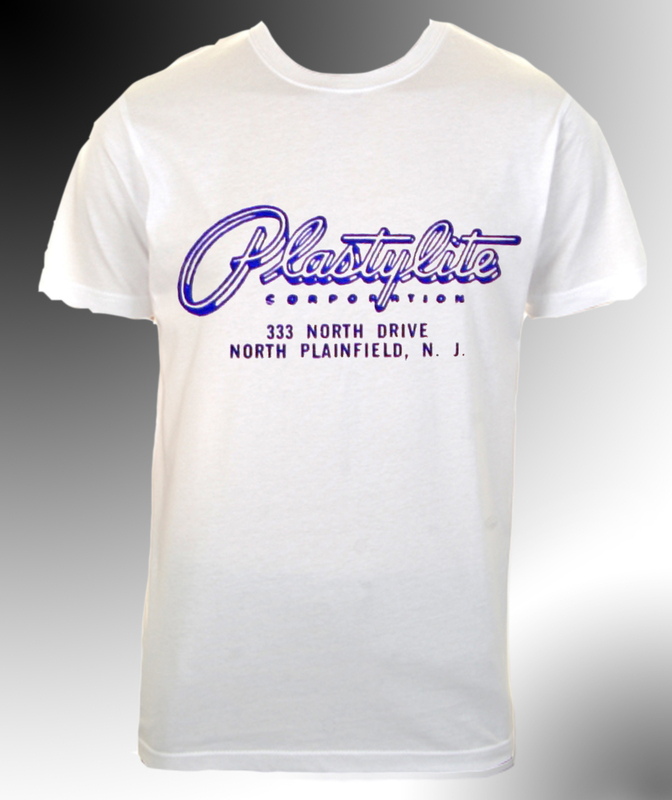 He may have the test pressing of Mobley 1568, he may have a mint original mono pressing of every record in the Blue Note catalogue, but he wont have this T-Shirt – because it doesn’t exist except in my imagination. Rarer than rare. Hey you know those clicks and pops? They are just olives and capers! Double cheese on mine, thanks.